For nearly three weeks every fall about 700 of our more seasoned Central Ohio citizens pass through the gates at Blacklick Woods to enjoy a day in the park at Senior Camp. It happens every September and it is happening now. All the campers are age 50 or older. 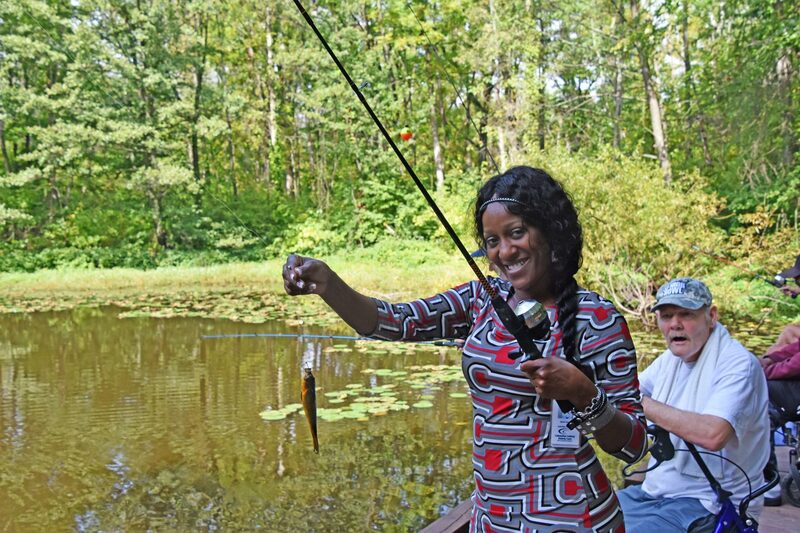 They meet up at Beech Maple Lodge, enjoy the fellowship of friends new and old while fishing at Ashton Pond, roll down the park road on the Metro Parks’ tram, take a walk through the forest with Metro Parks’ Outreach and Camp staff, make crafts and play nature bingo. Groups from LifeCare Alliance dining centers, independent living facilities, nursing homes, churches and more attend this fall event. When Senior Camp began in 2003, Metro Parks worked with LifeCare Alliance to get the program off the ground. That first year, three days of camp were offered for about 100 seniors from LifeCare Alliance dining centers. Since then, the camp has grown to 16 days, including four in the spring. Now we reach nearly 900 seniors and still have the help of LifeCare Alliance on some of our fall camp days. Wild animal ambassadors from Ohio Wildlife Center help to wrap up each day of camp. Our campers get the opportunity to meet turtles, small mammals and birds of prey while the knowledgeable staff and volunteers from OWC share information about them. 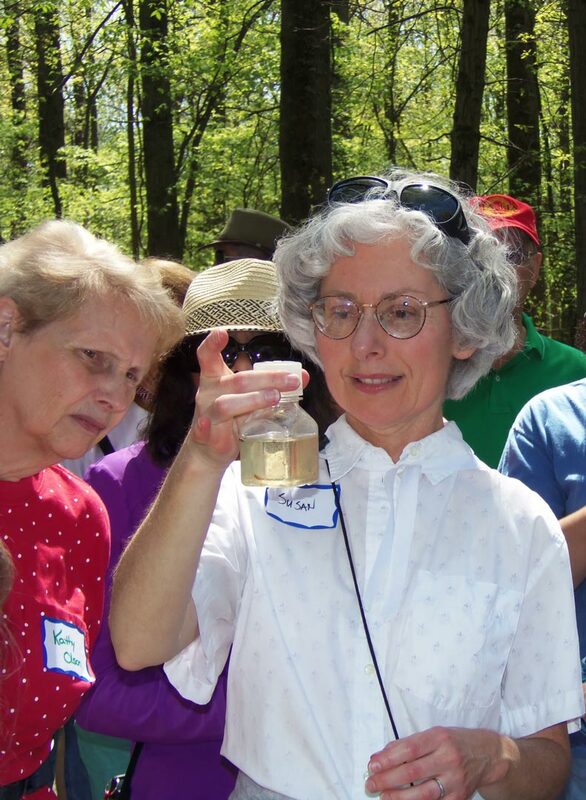 If you can’t make it out to the park for Senior Camp, or if you like a taste of nature a little more than once a year, our outreach naturalists can come to you. We offer hour-long programs on anything from Artifacts of the Past to Reptiles and Amphibians. If you’re able to come out to one of our beautiful parks in the warmer months we can do these same programs and more in an outdoor setting. There are lots of other programs for folks age 50 and older throughout the year, from stationary programs at Inniswood to rugged hikes at Clear Creek. Check our web program schedule here and enter Metro Five-0 in the dropdown category menu. You can also grab a copy of our quarterly ParkScope publication at one of our 19 Metro Parks.